Looking for a first gen preferably in Alberta, Canada but willing to drive for the right car, manual and any color except silver.
. . . Silver rocks!! Hey, whats wrong with silver? To each his own, I hope you find what you are looking for. I'm with you, it has to be silver/ red for me... So I have no problems people pick other colors! Slim pickings here. I tried to find a red car last year with no luck. Fortunately i like silver. I even shopped BC and Ontario. Lots of cars needing work, overpriced, etc. I'm going to have to side with the OP. No offense to silver/grey owners, but silver/grey has got to be the most boring, bland and common color on the road (not just 986s). Sorry, But I'm still laughing. This coming from the owner of a WHITE car. Just can't make this stuff up. White wasn't my first choice either, but it beats the heck out of silver or gray ( ) and is not as common. Ok, ok...enough of the silver bashing from me. In all honesty, my favorite 986 (in all the posts on the Internet and cars I've seen in person) is Perfectlap's. Sorry for the thread derailment, OP. Last edited by particlewave; 01-26-2018 at 11:50 AM. Love my 2001 S Guards Red aka "Arrest Me Red". Though I might be biased. 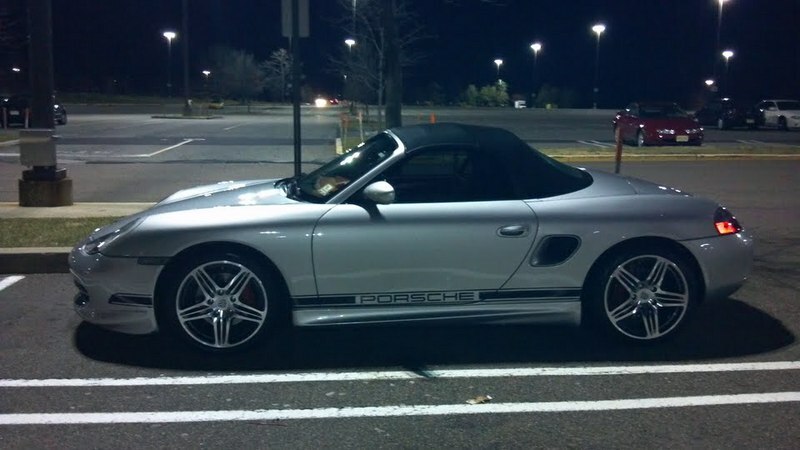 White is very a very hard color of Boxster to find.